If high workloads and lack of routine, coupled with low production, labor or low margins are challenges on your farm, DairyWise may be the solution for you. 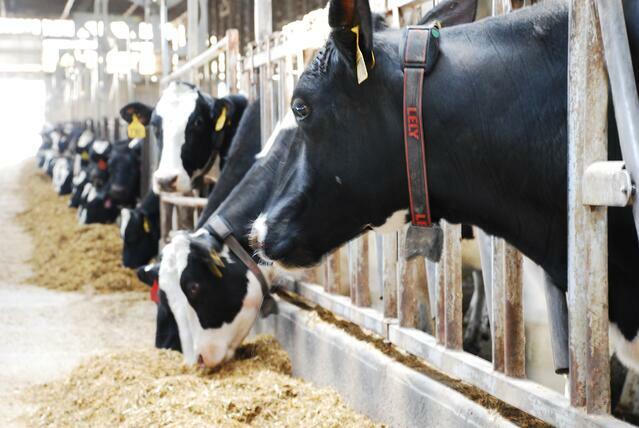 By setting in motion permanent and significant improvements, you can improve overall farm performance and the process of milk production in a lean and more efficient way. In fact, Hemdale Farms in Seneca Springs NY has found they are able to harvest 28% more milk per man hour on their 1,250 head, 21 robot dairy farm by focusing on efficiencies and using DairyWise Lean principles. This helps them combine better workplace satisfaction with employee engagement. Within a year of implementing DairyWise Lean principles, Clayton Hemminger, son of president and owner Dale Hemminger, found Hemdale Farms was able to harvest 230 pounds of extra milk per man-hour. The road to increased production and efficiencies began in March 2016 with the help of herd manager Pete Maslyn and their dairy crew. “The evolution of our farm has been based on a combination of increased milk production and labor efficiencies driven by volume which have brought us to where we are today,” is how Clayton Hemminger introduced his dairy during a large robot dairy panel at the Lely FMSNA Conference in Fair Oaks in May of 2017. “We have increased milk per man hour by 13% since the introduction of the InHerd Mobile apps and the DairyWise Lean event. By looking at our milk per cow increase, we attribute about 1/2 of this increase in milk per man hour to production and 1/2 to more efficient labor.” After adding another two milking robots later in 2016, without hiring additional employees, another 15% milk was added per man hour. Engagement of all employees in the barn.